BlackBerry Evolve was launched in the month of August and comes with 18:9, 5.99-inch full view display and is protected by Gorilla Glass 5. It comes with quick face unlock and fingerprint sensor on the device are ultra-quick and responsive and also boasts of Dolby Digital sound quality. It comes equipped with 13MP+13MP dual rear camera and dual tone LED flash with features of 2K video recording. The 16MP wide angle with tetra cell front camera is for those who wish to take beautiful group selfies. Priced at INR 24,990, the device is powered by Qualcomm SDM450 Octa-Core1.8 GHz processor and runs on Android 8.1 Oreo OS. BlackBerry Evolve comes loaded with 4GB RAM + 64GB variant which is expandable up to 256GB memory (through micro SD). This device is available on amazon.in. BlackBerry KEY2 LE is designed for physical keyboard enthusiasts and offers the iconic BlackBerry QWERTY keyboard experience. 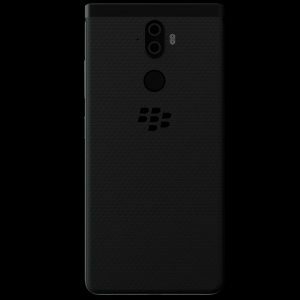 Priced at INR 29,990, the Key2 Le is powered by a 1.8GHz octa-core processor and 4GB RAM + 64GB of internal storage that can be expanded up to 256GB via a microSD card. The phone is equipped with a powerful 3000mAh battery that gives over 22 hours of mixed usage. It comes equipped with a 13+5MP dual rear camera set-up and an 8MP front camera. 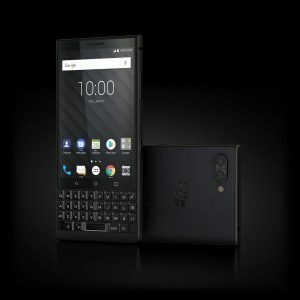 The BlackBerry KEY2 LE also offers dual account management, allowing cloning of applications such as Facebook Messenger and Instagram by a simple drag and drop process. It also allows easy switch between personal and professional accounts and supports dual sim functionality. BlackBerry KEY2 has introduced Speed Key, a universal shortcut key that makes it possible to instantly access apps, contacts and functions that are used the most by a user from anywhere on the device. This phone has a 4.5-inch touch display featuring impact and scratch resistant Corning Gorilla Glass 3. The keyboard has been shaped to make typing effortless, and includes in-keyboard fingerprint sensor with updated mechanics for an improved tactile response and convenient user experience. It is packed with 3500 mAh battery with Quick Charge 3.0 which lets users charge the BlackBerry KEY2 up to 50% in 40 minutes. This phone is priced Rs. 42,990.